The language of flowers, also known as floriography, is the expression of messages and emotions through flowers. Meaning has been attributed to flowers for thousands of years, and some form of floriography has been practiced in many countries throughout Europe and Asia: Greece, Italy, China, India, and Turkey, among others. The language of flowers was also found in ancient mythologies, folklore, and even within William Shakespeare’s sonnets and plays. This unique “language” resurfaced widely throughout Europe during the eighteenth century and was especially popular during the Victorian era. Lady Mary Wortley Montagu, a British writer, is often credited with bringing the language of flowers to England. Flowers have been popular gifts throughout history, since they are seen as beautiful and elegant, and they are often described as reminders of the fragility of life. They appear as powerful symbols of human emotions from prom nights to weddings to funerals. While love poems and letters are ways that lovers express their emotions in words, some believe that flowers are more directly expressive than words can ever be. The number of sentiments expressed in a natural bouquet has been described by some as able to surpass human language. Even the smallest details in a bouquet can hold meaning, from the number of blooms, to their species, to their color, and even the position of the flowers within the bouquet or vase. For example, a single flower presented with the bloom facing the receiver means something very different than if the same flower is presented stem-first. Flowers placed on certain parts of the human body may signify that this particular body-part is injured, disabled, or troubled in some way. From this passage, it is clear that the historical language of flowers developed alongside a growing interest in the relationship between plants and animals, and particularly the human animal. Flowers were seen as Nature’s own way of communicating directly with humans. Human emotions are attributed to flowers; as the author of The Language of Flowers states, they communicate “tenderness,” “passion,” and “mirth.” Flowers not only communicate with each other, but with God and, in turn, with humans. As a result, the giving of flowers can have a profound effect on the recipient. The Language of Flowers then devotes a chapter to each type of flower–or plant–native to Europe. The plant’s common meaning is given, followed by a short entry on how this particular meaning came to be. 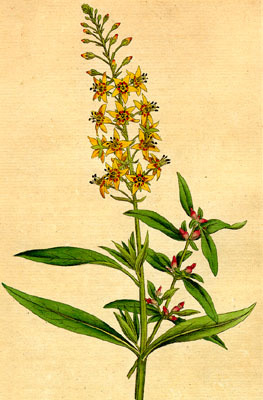 Many meanings have been derived from the appearance of behavior of the plant itself. For example, the mimosa, or sensitive plant, represents chastity. 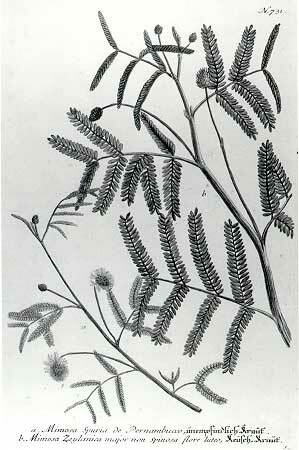 This is because the leaves of the mimosa close at night, or when touched. Likewise, the rose has been used to symbolize the blood of Christ in a religious context, the red-heat of passion in a more secular–even sexual–way, and its thorns can suggest that love may also be painful. So a single flower can have multiple meanings and can radiate those meanings in complex and compelling ways. Although the intricacies of the language of flowers have faded in the modern era, the impulse behind this tradition is alive and well. A young woman in love still hopes–or expects–to receive roses on Valentine’s Day, and funeral altars are still framed with lilies, as they have been for hundreds of years.